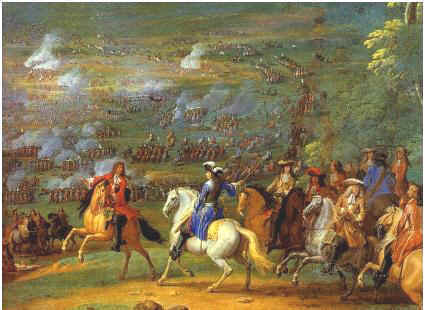 The Battle of Rocroi was fought on 19 May 1643, late in the Thirty Years' War. It resulted in a decisive victory of the French army under the Duc d'Enghien, against the Spanish army under General Francisco de Melo. The Habsburg Spanish-Imperial army of about 27,000 men, advanced from Flanders, through the Ardennes, and into northern France to relieve French pressure on the Franche-Comté and Catalonia. 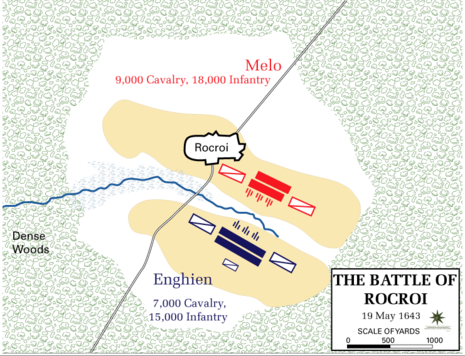 The Spanish troops set siege to Rocroi, which lay athwart the route to the valley of the Oise. 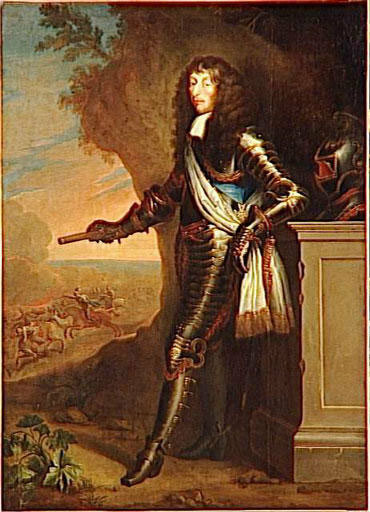 The French, under the command of 21-year-old Louis, duc d'Enghien, reacted quickly and forced a battle before the arrival of 6,000 Spanish reinforcements. The Spanish failed to block the route to Rocroi, which passed through a defile bordered by woods and marsh. Enghien advanced through the defile and assembled his force along a ridge looking down on the besieged town of Rocroi. The Spanish quickly formed up between the town and the ridge. The French army, some 23,000 strong, was arranged with two lines of infantry in the centre, squadrons of cavalry on each wing and with a thin line of artillery at the front. The Spanish army was similarly arranged, but with its infantry in their traditional tercios, or squares. The two armies bivouacked in their positions for the night. The battle was an important propaganda victory for Mazarin and Enghien, the future "Great Condé". It was also the first major battlefield defeat of a Spanish army in a century, although historians have noted that Melo's German, Walloon, and Italian troops actually surrendered first, while the Spanish infantry cracked only after repeated cavalry charges and a vicious spell under the French guns. In any case, Rocroi put an end to the supremacy of Spanish military doctrine. Spain continued with much success in its war against France in the main war fronts of Catalonia and Italy, where, after initially having lost control (in the former due to a local rebellion), it recovered most of its lost ground. However, these efforts against France left Spain so drained it was unable to supply adequate military resources against the simultaneous and ultimately successful Portuguese rebellion. It was not until the defeat at the Battle of the Dunes in 1658 (the Spanish forces were led then by the same d'Enghien, victor of Rocroi) that the linear formation had clearly superseded the tercio. The 1659 Treaty of the Pyrenees ended the war in favor of France, affirming the new reality so loudly and prematurely proclaimed at Rocroi.